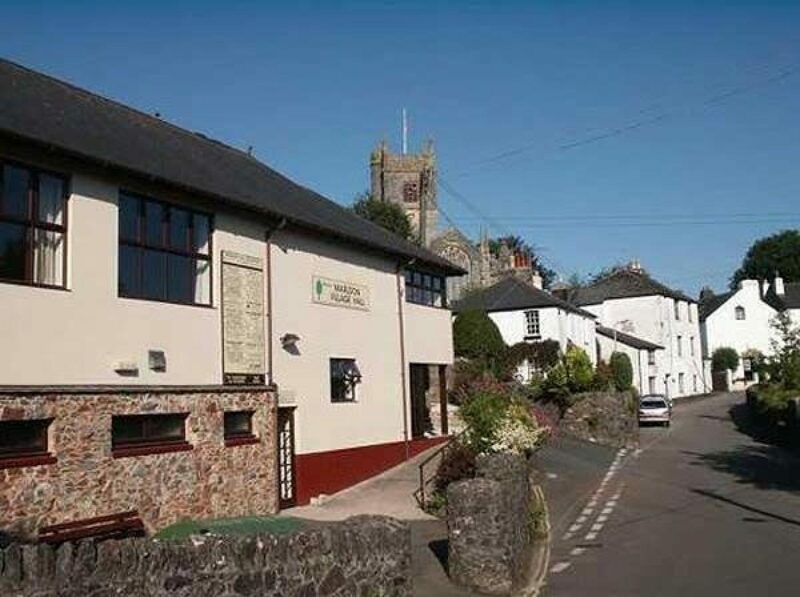 You will see from the Report below from our Village Hall Treasurer that the Village Hall Council has had a great deal of expense recently with regard to the rock fall at the rear of the building, and we find ourselves in the position of having to start a serious FUND RAISING programme. from 3.00 p.m. to 6.00 p.m. in the MAIN HALL. We hope that everyone who appreciates the part that the Village Hall plays in our community and all those who attend any of the varied activities that take place there, will come along with as many friends as they can muster and find out how we can all help. Thank you very much in anticipation of your support. As many of you will be aware, we have suffered severe problems at the back of the Village Hall. Part of the cliff wall became unstable and a few large boulders fell onto the fire escape. In our role as Trustees we were left with no option but to proceed with the costly works now in progress. The initial survey and scaffolding has already cost the Village Hall £10,400.00 and this has reduced the Bank balance significantly, placing the Hall in a very weak financial position. The remedial work that is being done is predicted to cost another £24,000.00 and we do not have the money to pay for this. To date we have had £1,600.00 in donations (£500 from Marldon Pantomime Group and £1,100.00 from the Parish Council). Thankfully, the Parish Council is standing with us. It has pledged its support in helping with funding and has appealed to South Hams District Council for some funds but I have been informed by a visiting Councillor that all funds are now held over until after the next round of local Council elections. Even then funding is unsure! 5th May to share your ideas and get involved. The Village Hall Charity is now registered with http://www.easyfundraising. YOUR VILLAGE HALL NEEDS YOU. PLEASE MAKE SURE YOUR NEIGHBOURS ARE AWARE.